Make employee engagement a key metric — Employee engagement is foundational to customer engagement. It is highly unlikely that an employee who hates their job or who is disengaged from what they do will create a great customer experience. When employee engagement becomes foundational to how you do business, it will become a key metric for organizational planning. There could be a goal, something like “Improve employee engagement from X to Y by DATE”. Establishing lead indicators will drive change as well. Clear dashboards with weekly accountability sessions will make improvement real for management. With the clear link to customer engagement established, customer engagement will improve as well. Employee Engagement Define It, Measure It and Put It to Work in Your Organization – Research by APQC, one of the leading proponents of process and performance improvement, has yielded key insights into what engagement is, how it can be measured and how it can be integrated into organizational culture. ‘The lost suitcase and a grumpy old man’ – a story about employee engagement – Blog post by Ian Golding – Customer centric organizations tend to have a number of things in common. They typically have management teams who collectively believe in the importance of doing things with customer’s interests firmly in mind. They usually design their customer journey(s) to meet and exceed customer expectation. They often recognize that getting things wrong may happen, but that correcting them is a vitally important skill. One thing you can guarantee, is that customer centric organizations do not just put customers first – they also put their employees first as well. Customer Experience Leadership Requires Engaged Employees – One of the Six Laws of Customer Experience is “Unengaged employees don’t create engaged customers.” That’s why Employee Engagement is one of Temkin Group’s four customer experience core competencies. The 5 Factors that Ruin Employee Engagement – Experts outline the five main drivers of employee disengagement that business leaders need to steer clear of at all costs. 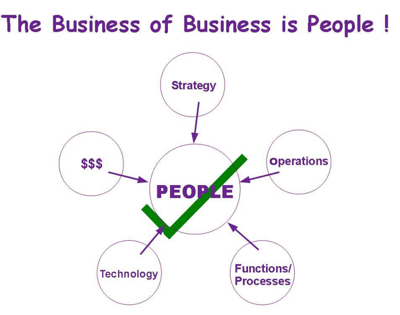 Employees are the backbone of organizations. But despite having the knowledge that an engaged workforce correlates to positive customer experiences and growing sales, high levels of disengagement still plague many organizations. In fact, the latest Gallup report on the State of the American Workplace notes that despite changes to the U.S. economy since 2000, these have not been translated to the American workplace. The recent recession led to a decrease in employment opportunities, making workers less inclined to leave their job because of low engagement and employers less incentivized to ensure that their staffers were happy. However, while the tide is slowly changing, many workplaces are not changing their practices and investing in initiatives that ensure a high level of employee engagement. It’s an extensively researched, fully updated list of proven effective ideas for increasing employee engagement in companies without burning a hole in their pocket. Might be worth a link to your blog. Thanks for the awesome content either way.